As previously reported, Arthur Miller’s A View From the Bridge will indeed return to Broadway this fall. The Young Vic production transferred to the West End and won three Olivier Awards earlier this year, including Best Revival and Best Director for Ivo Van Hove. 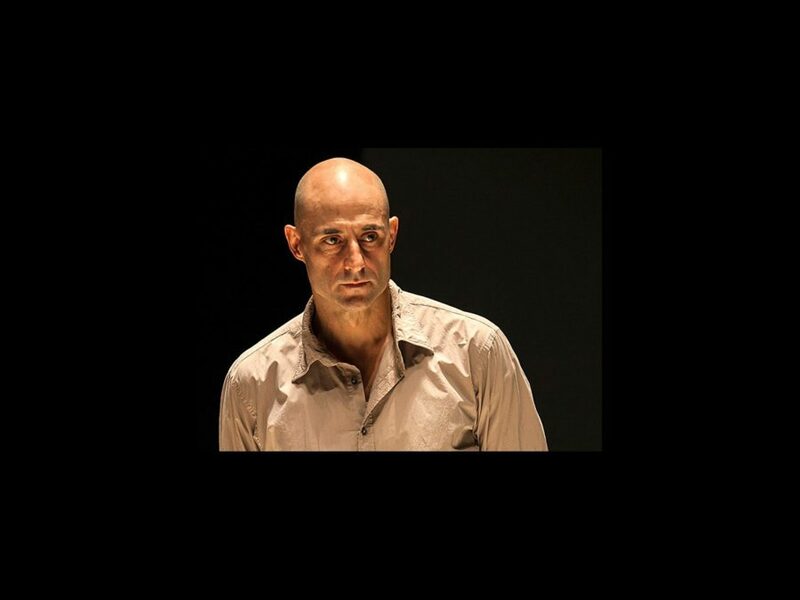 Mark Strong, who also won for his performance as Eddie Carbone, will reprise his performance. Performances will begin on October 21 and run through February 21, 2016 at the Lyceum Theatre, where The Visit will play its final performance on June 14. Joining Strong will be his fellow original co-stars. Emun Elliott as Marco, Phoebe Fox as Catherine, Michael Gould as Alfieri and Olivier winner Nicola Walker as Beatrice. Casting for the role of Rodolpho, played in the West End by Luke Norris, will be announced at a later date. Strong’s other West End credits include Closer, Death of a Salesman, Murmuring Judges, Fuenteovejuna, The Man Who Came to Dinner and Speed-the-Plow. Elliott has appeared in Measure for Measure and Ubu the King in the U.K. Fox’s stage credits include King Lear and Sixty-Six Books. Gould appeared in the Young Vic’s Hamlet and Cruel and Tender. Walker won an Olivier Award for her performance in The Curious Incident of the Dog in the Night-Time; her other credits include Season’s Greetings, Gethsemane, Edmond and Free. In A View From the Bridge, described as one of Miller's most passionate dramas, Eddie Carbone is a Brooklyn longshoreman obsessed with his 17-year-old niece Catherine. When Catherine falls in love with a newly arrived immigrant, Eddie's jealousy erupts in a rage that consumes him, his family, and his world. The play debuted on Broadway in 1955 and was most recently seen on the Great White Way in 2010, starring Scarlett Johansson and Liev Schreiber. The new production of A View from the Bridge will feature scenic and lighting design by Jan Versqeyveld. Opening night is set for November 12.